14 photos of assorted blue diesels. 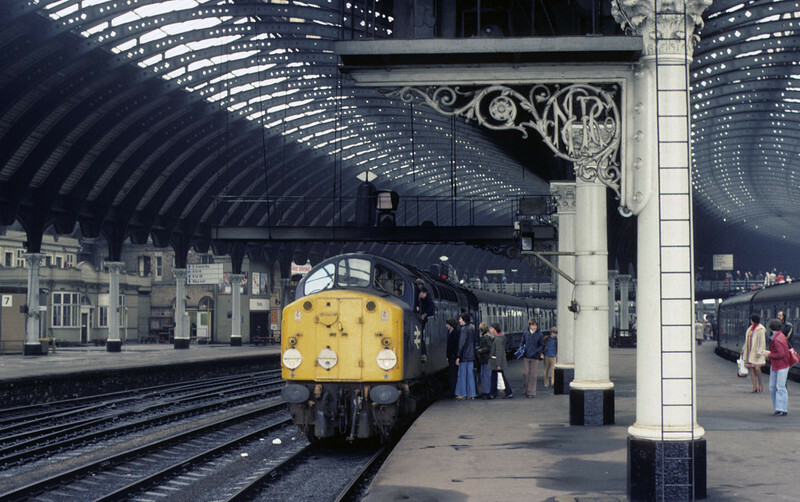 40006, York, 2 October 1976 The 40 had just arrived at what used to be platform 9 (platform 5 in 2010) with an excursion from Stafford. 40006 was withdrawn in 1983. Photo by Les Tindall.